We expected a Surface clone, but the XPS 12 bucks the trend while still fitting a lot of amenities and upgrades. The leaks were wrong: Dell's new $999 XPS 12 is not, I repeat, not joining the parade of Surface clones we've seen lately. Instead, it's offering a fairly conventional 2-in-1. That’s not to dismiss what Dell has done with the XPS 12. The 12.5-inch IPS screen comes in resolutions of 1920x1080 to UltraHD 4K. That 4K panel offers a stunning 352 PPI and is rated at 400 nits with a 100 percent sRGB color gamut. As it separates into a tablet, it has ten-point touch, of course. Just as impressive are the internal components. There’s a Skylake Intel Core m5-6Y54 running the show along with 8GB of LPDDR3. Storage options include either a 128GB or 256GB SATA SSD. The tablet attaches to a dumb keyboard (no battery, no ports) via a latch. 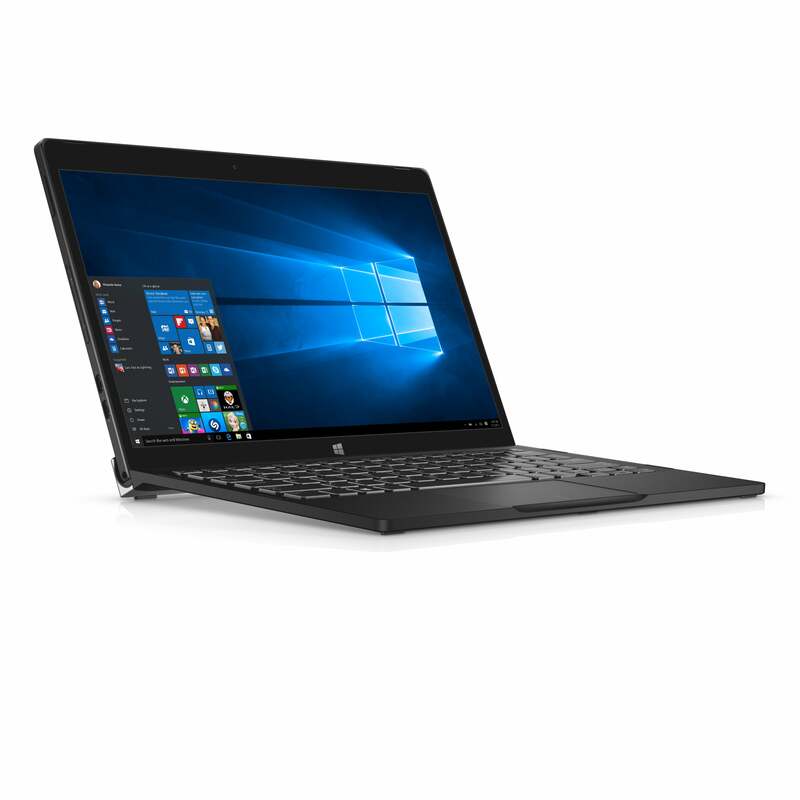 Anyone who saw the combo would think it was a laptop first, not a tablet—Dell said that’s by design. It said it decided the XPS 12 should play to the laptop’s strengths. The good news is it’ll work great in your lap, while the Surface's kickstand can get dicey. 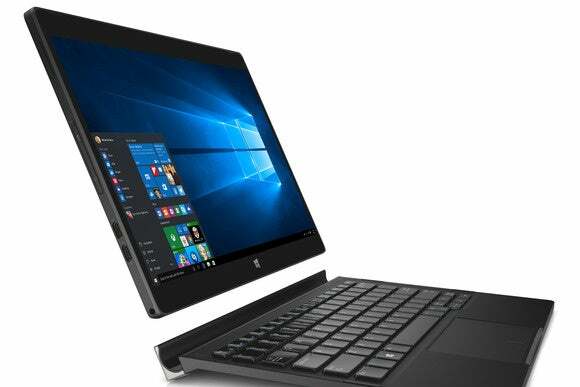 The new XPS 12 is far closer to a conventional 2-in-1 than a Surface clone. The real trick up its sleeve is the full Thunderbolt 3.0 support. That means the pair of USB-C ports on the XPS 12 give you full 10Gbps data rates over USB as well as Thunderbolt and DisplayPort. The tablet measures 0.31 inch thick and is 11.46 inches tall and 7.6 inches wide. With the keyboard attached, it grows to about an inch thick. Weight of the bare tablet is 1.75 pounds, 2.8 pounds with the keyboard attached. The leaked images made it look far more like a Surface. From what I’m seeing that might still be possible. Perhaps Dell intended to make some kind of origami folding keyboard that propped up the tablet like a Surface. Maybe it’s time to go start some new leaks. 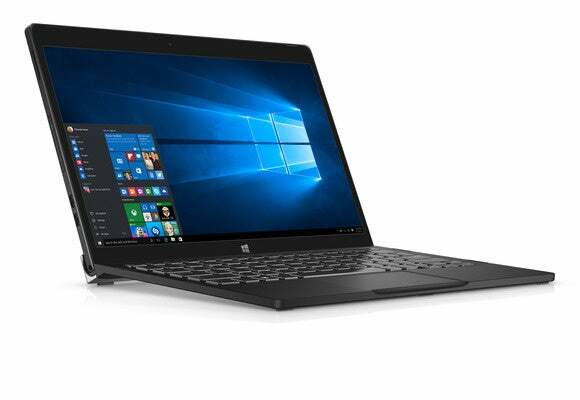 The Dell XPS 12 will be available starting in November. Why this matters: We're honestly surprised that Dell isn't chasing Microsoft’s Surface as the tablet productivity form factor to beat. Just about everyone else is running to keep up, including Lenovo, HP and even Google and Apple. It's not that Dell needs to follow the pack, but its aspirations seem unusually modest. We'll see whether the Surface truly has completely ruined us for all other tablets and 2-in-1s when we have a chance to review the XPS 12.